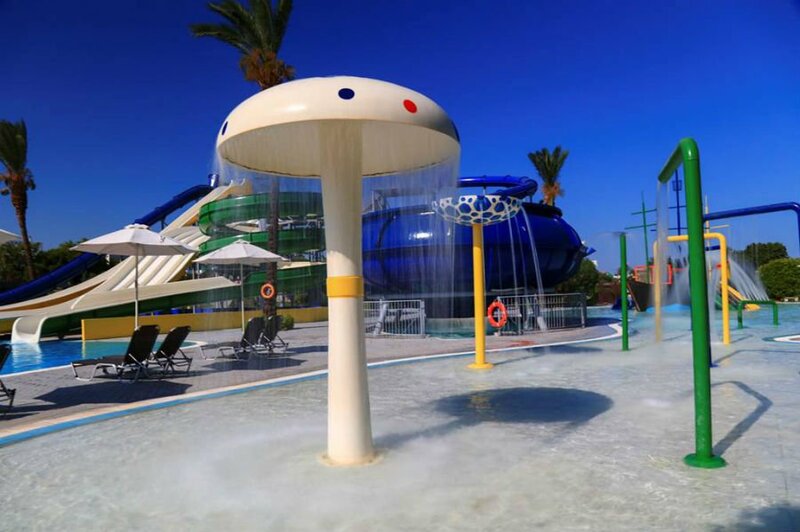 A guide to the best baby and toddler friendly hotels in Rhodes including hotels near the beach, with splash parks and with activities for babies and toddlers. 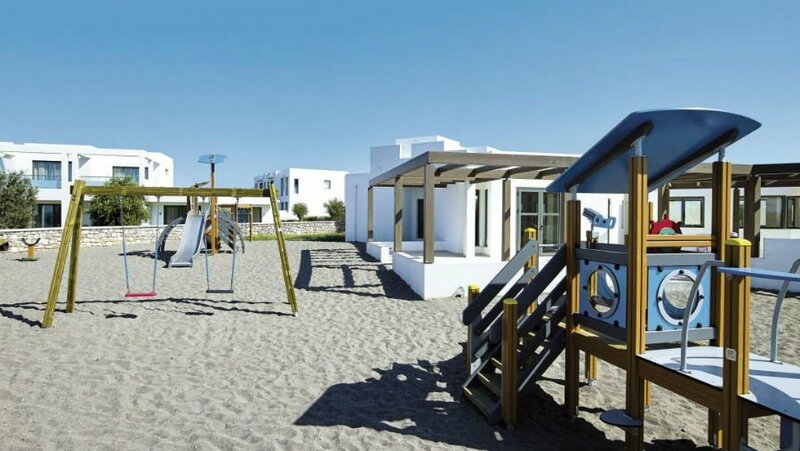 Read on to discover the best places to stay with babies and toddlers in Rhodes. 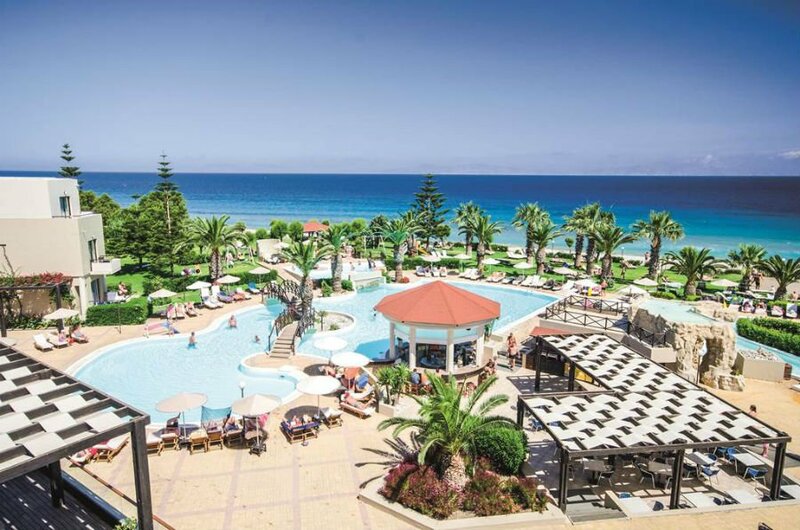 The Sun Beach Resort in Rhodes is located right on the beach, and is perfect for an action packed holiday in Greece with a toddler. There are 5 swimming pools, 3 playgrounds, an indoor soft play area and a Kids Club for children aged 3+. The beach is a mixture of sands and pebbles and the resort of Ialyssos is a short walk away. Family rooms are available. This 5 hotel is amazing for families with babies and toddlers. Life revolves around one of the many pools at the hotel – there are 4 outdoor pools, 1 indoor pool and a Kids Pool with a pirate ship, waterslide and adventure park. Children aged 3+ can also learn to swim with lessons run by ASA qualified instructors. There is a dedicated playground for children aged under 6, and a busy entertainment programme throughout the day and evening. Kids aged 3+ can go to the Kids Club. Rooms are located in three separate zones Activity, Relax and Deluxe and come with a queen-size bed and balcony or terrace. Double and family rooms are available in the Activity and Relax areas and come with a mini-fridge and satellite TV. Swim up rooms and Family suites are available too. 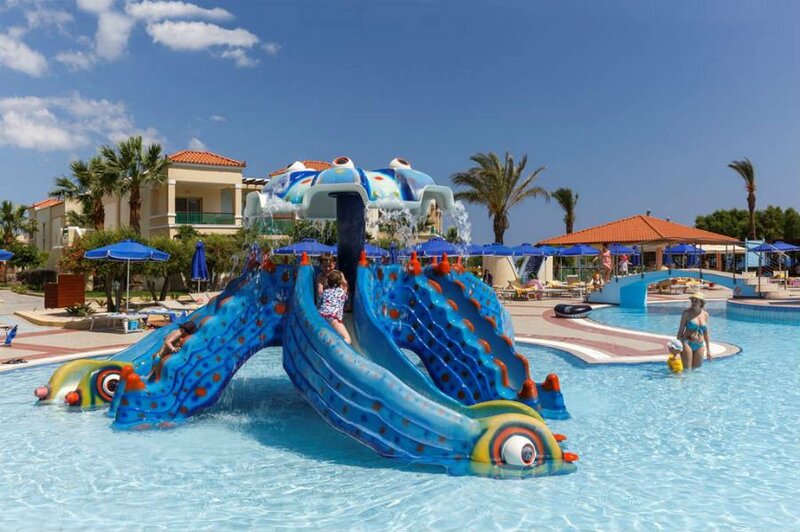 This hotel is amazing for families looking for a baby and toddler friendly hotel in Rhodes. It is right on the edge of a sand and shingle beach and has stunning sea views over the Mediterranean. Don’t miss a trip into Rhodes Town – you can catch the bus from a stop next to the hotel. 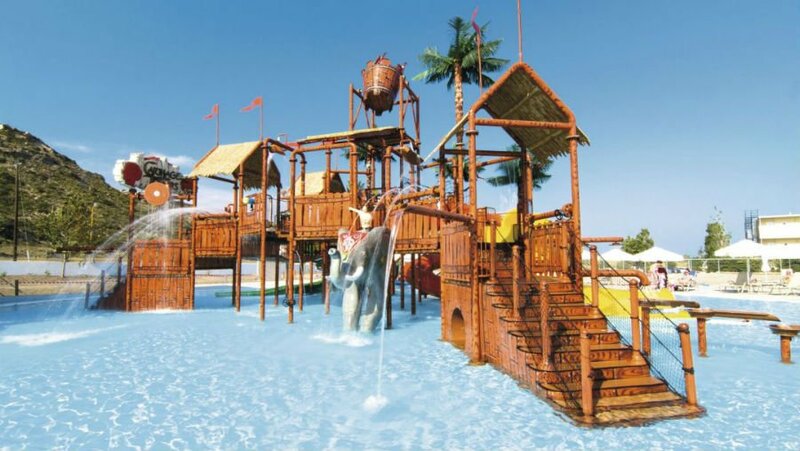 The highlight of the hotel is the large lagoon style swimming pool and the water park which has a separate area for babies aged 8 months – 3 years. 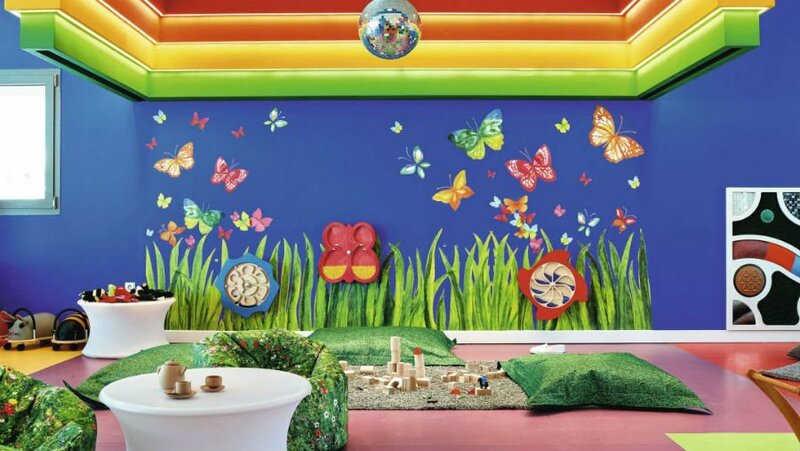 There is a nursery for babies, a Baby Lounge while parents can chat whilst feeding and changing their baby, and the hotel organises parent and toddler activities like storytelling and singing. Parents can also prebook baby and toddler equipment. 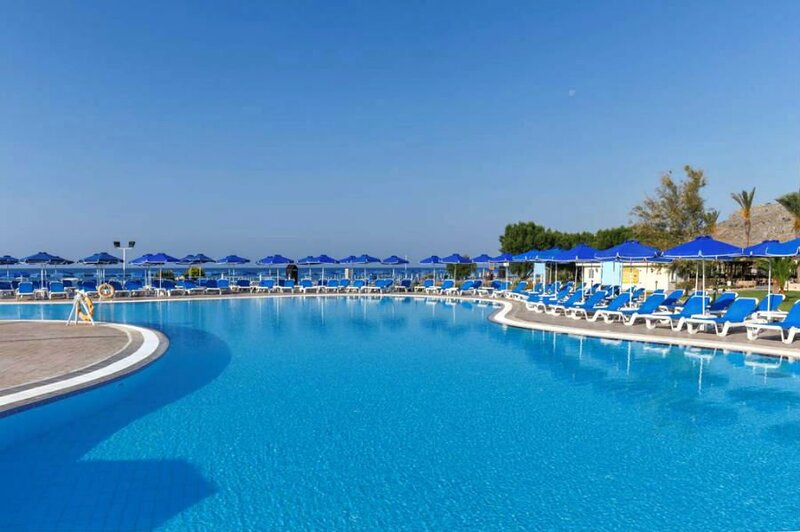 The Labranda Blue Bay Resort is in a great location on the beach near to the resort of Ialyssos. 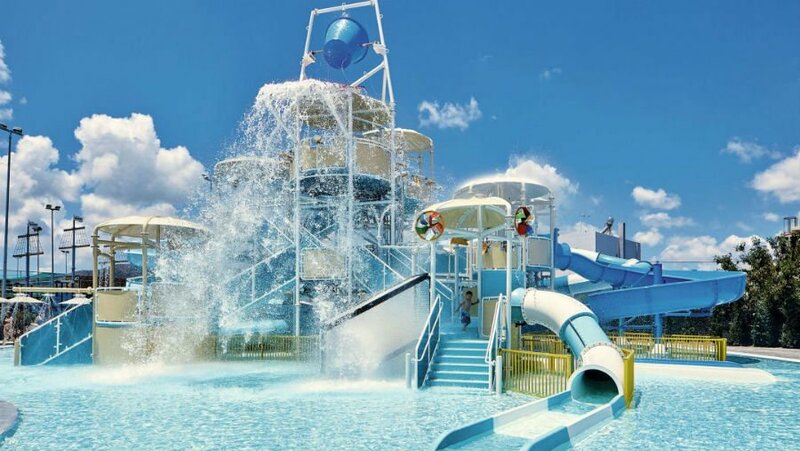 Toddlers will love the pirate themed splash pool and water park with its waterslides. The Labranda is well known for its excellent family friendly entertainment which includes shows, a mini disco and music. 2-bedroom family rooms and bungalows are available. 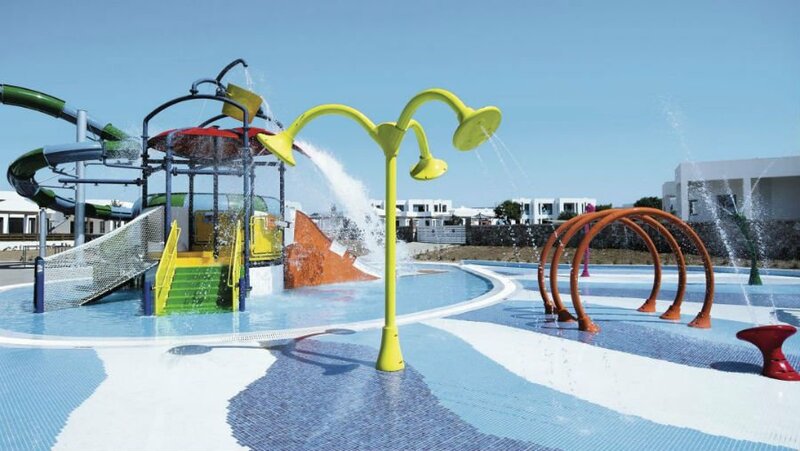 The Sensatori Atlantica Dreams Resort opened in summer 2018 and is good for families looking for a luxury hotel which is good for babies and toddlers too. 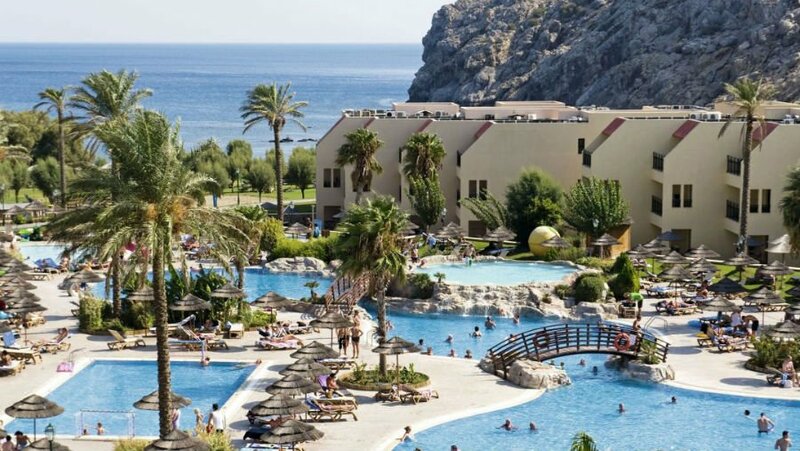 There is a Blue Flag beach right outside the hotel and swimming pools and a splash park for toddlers in the hotel’s landscaped gardens. Parents can escape to the Spa whilst babies are being carefully looked after in the nursery. Toddlers will love playing in the Play House with its crazy kitchen, silly science lab and arts and crafts zone. Duplex family rooms and family swim up suites are available. 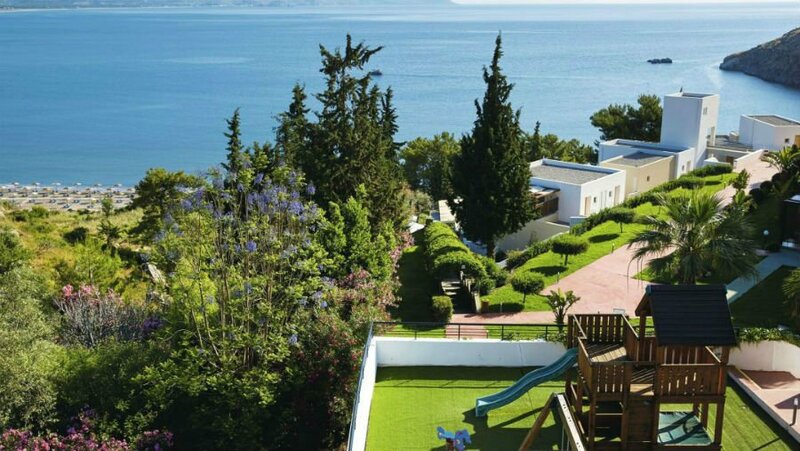 This hotel is geared up for families looking for a baby and toddler friendly hotel in Rhodes. 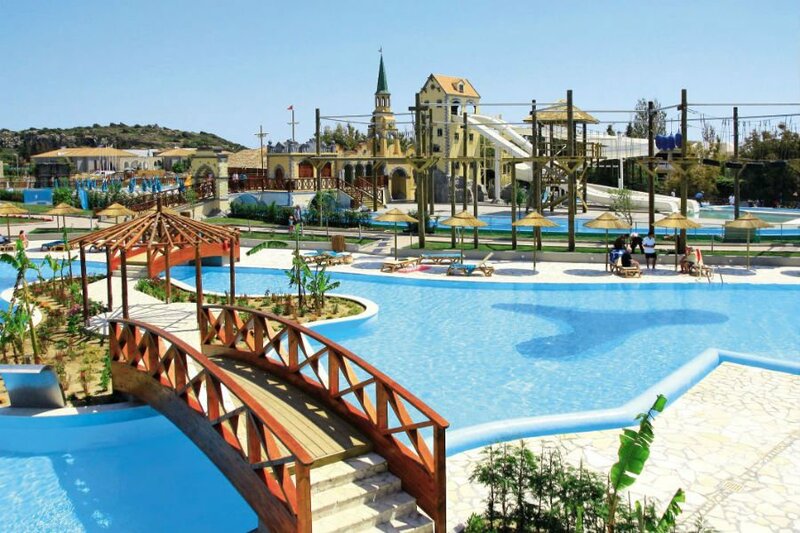 It is located right on the beach and has 3 swimming pools including one with waterslides. 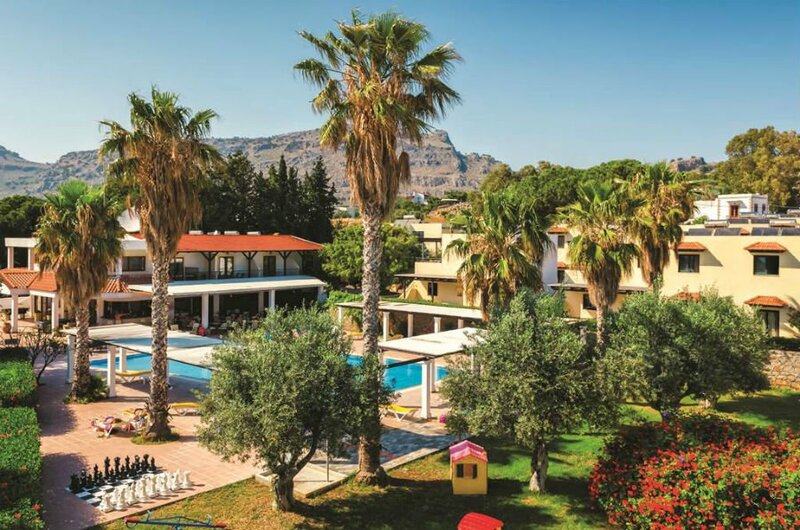 The resort has the feel of a traditional Greek village with olive tree walkways and whitewashed low storey buildings. There is a MAGIC Mini Club for children aged 3+ with parties, games, picnics and trips to the playground. 1 and 2 bedroom family suites are available. 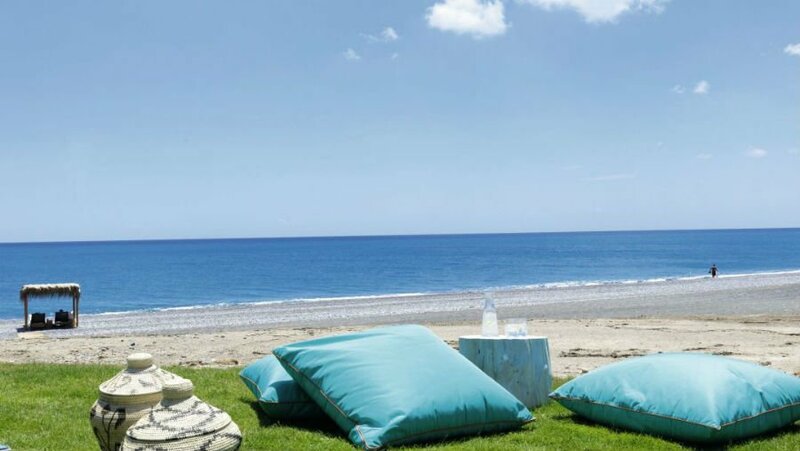 The modern D’Andrea Mare Hotel and Apartments are set in a stunning beachfront location on Ialyssos beach. 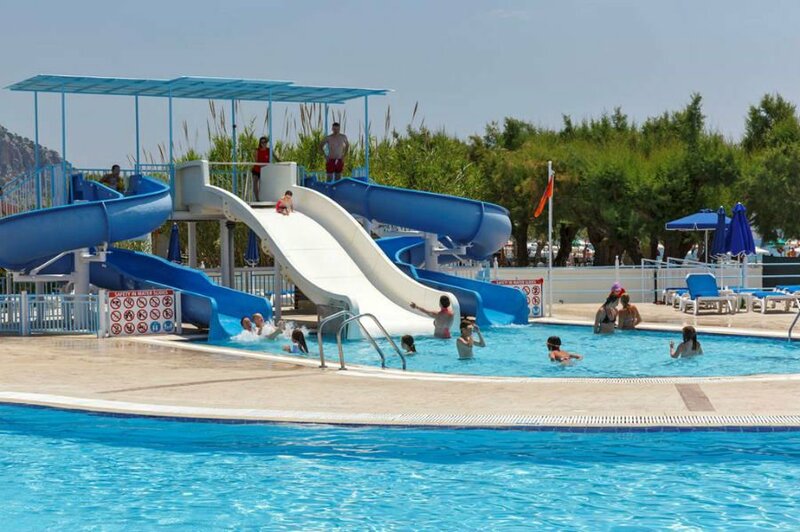 There is a lagoon style swimming pool and 3 children’s swimming pools and a playground. Adults will love the swim up bar! Family rooms and 1-bedroom apartments are available. The Lindos Princess Beach Hotel is a super impressive beachfront hotel near to the resort of Pefkos. The beach is long and sandy and is perfect for sandcastle building and swimming. 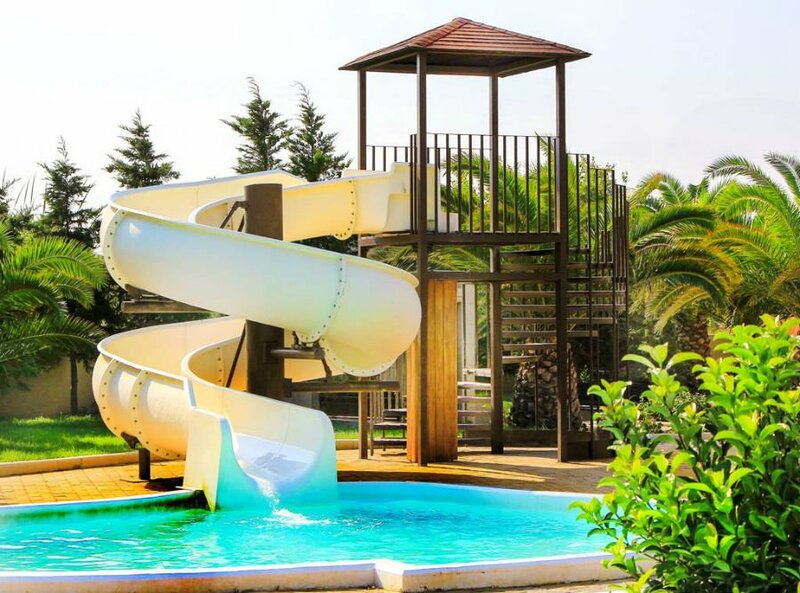 There are 6 outdoor swimming pools at the hotel with children’s sections and one with waterslides. 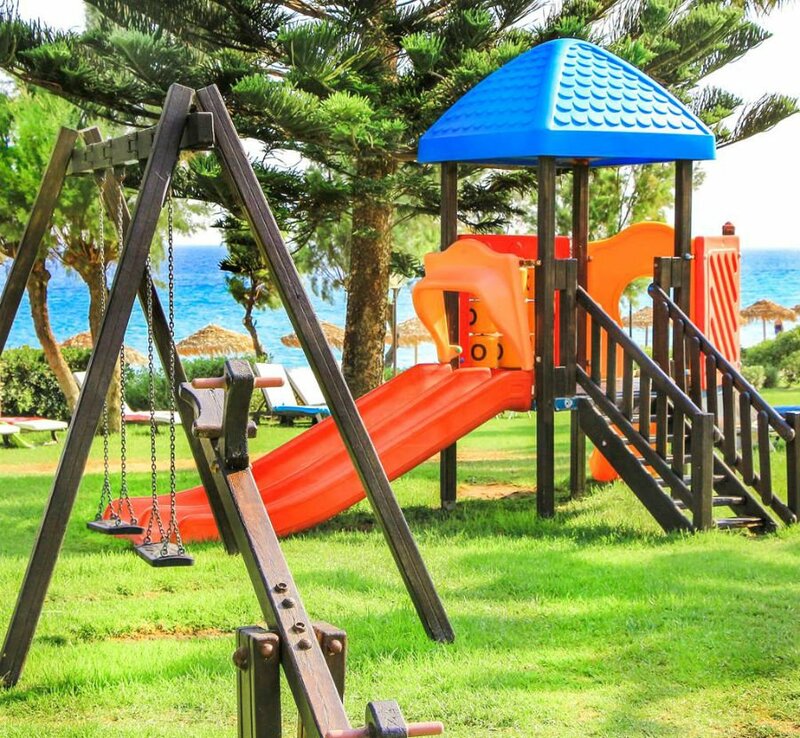 Toddlers will love the playground with swings, slides and an adventure play area. The hotel has a great range of dining options, and there are also bars and restaurants within 500m of the hotel too. 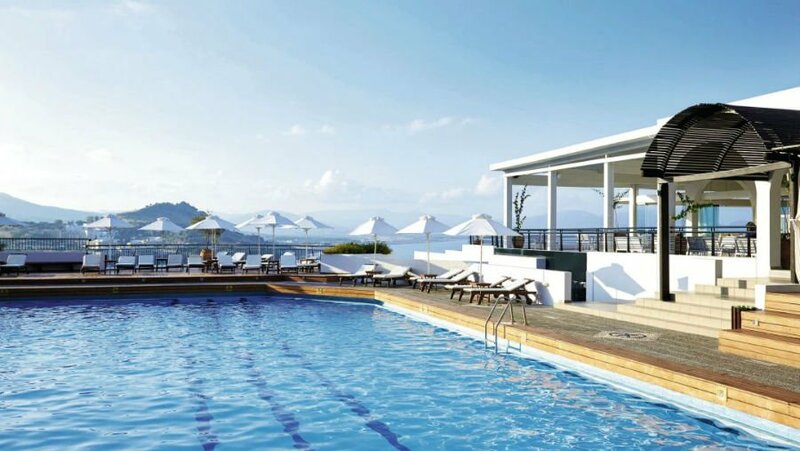 This top-quality hotel is set in a unique position built into a cliff close to Lindos. The hotel boasts some of the best views in Rhodes and even has a cable car which links the hotel to the sandy Blue Flag beach. 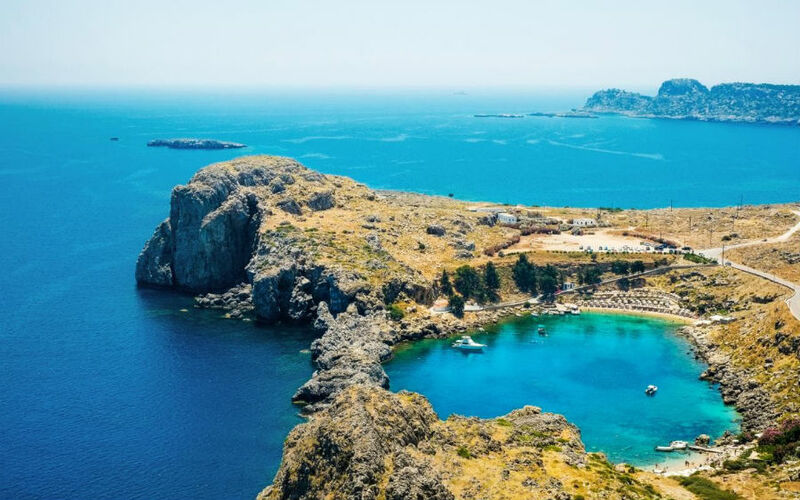 The quaint bay of Vlicha is 2 minutes away, and Lindos is a 5 minute taxi ride away. There are 2 swimming pools one with a separate area for children to swim in. Junior Suites are suitable for up to 4 people. 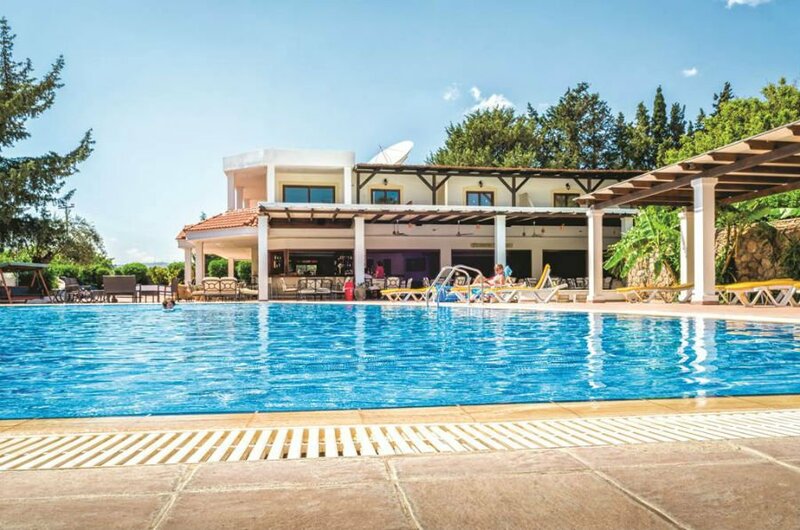 The popular Hotel Sun Palace is a good choice for families looking for a hotel close to the centre of Faliraki. 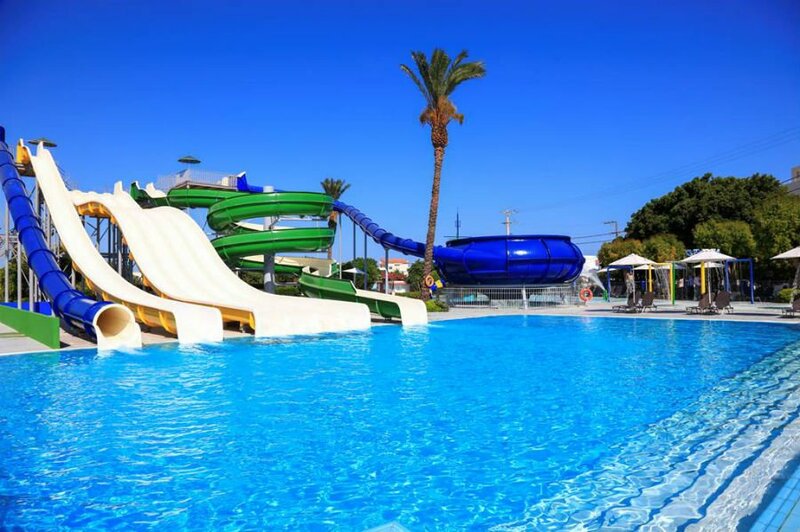 It is within walking distance of Faliraki’s town centre and beach and has its own water park, splash park and massive swimming pool. 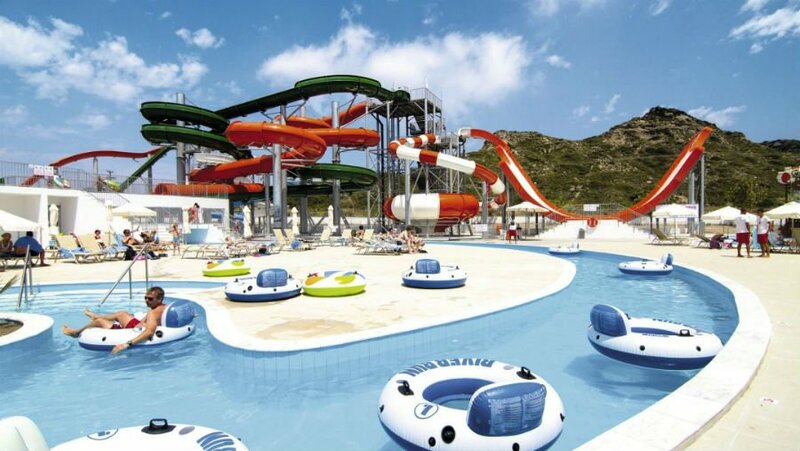 The rides in the waterpark do have height restrictions on them, but there is also a splash park for babies and toddlers. There is a packed activity programme and evening entertainment which includes Greek themed nights. 1 bed family rooms with bunk beds are available. 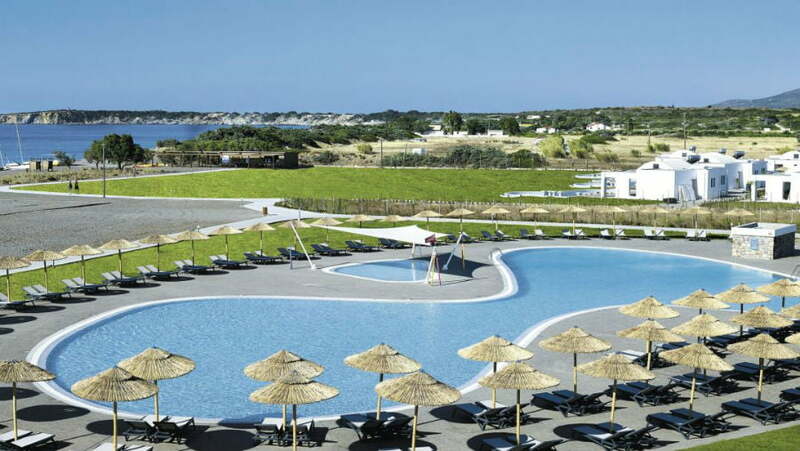 The Pefkos Village Resort has good quality apartments about 20 minutes walk from the resort of Pekfos. It is also close to a small and pretty beach which is great for making sandcastles and swimming in the crystal sea water. The resort is small and friendly and has a great outdoor swimming pool surrounded by lush green gardens. One bedroom apartments with basic kitchenette facilities are available. 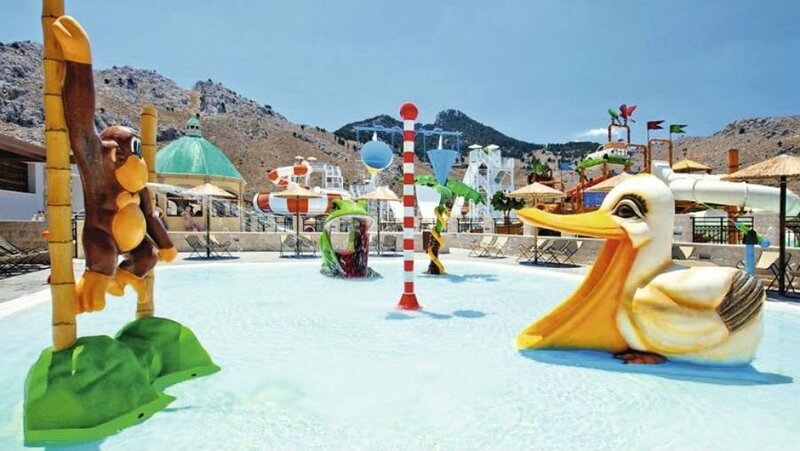 Can you recommend any hotels for babies and toddlers in Rhodes?